When we review an assignment writing website, we want to make sure students are getting what they need – privacy, guarantees, affordability, quality and support. Assignmenthelponweb does a decent job of meeting all of these expectations, though their website is dark in some places, making it hard to read all the information on it. The site does a good job of outlining everything a student needs to know before they make an order. The site clearly states what to expect and offers a disclaimer and transparent terms and conditions that are easy to read and understand. The live support is available to answer any other questions students might have. The paper we ordered from Assignmenthelponweb was good quality and was delivered on time. The site uses professional writers who are experts in their subject, so the paper had the right amount of research without making it look like it was purchased from a professional writer. Overall, we would probably order from this company again, though we would appreciate a brighter website. The site might be more successful and reach more customers if it could provide papers on other topics and wasn’t restricted to just a few services. However, the writers do a good job with them. Cost is one of the most important things for students and Assignmenthelponweb offers affordability with very competitive prices. There are three quality levels of choose from: 2:2 Standard, 2:1 Standard and First Class. The final cost is dependent on the quality level, the length of the assignment, the type of assignment and the deadline. A basic essay with a deadline of more than 6 days starts at £7.99 and goes up to £17.99. With an urgency of 24 hours, the prices goes up to a range of £16.99 to £26.99 pounds. Prices are charged on a per page basis. In addition to affordable prices, the site offers several ways for students to save money. If a student requests a call back from the home page, he or she can take advantage of a 15% discount. There are also several buttons on the home page that enables students to access other discounts. There does not appear to be loyalty or repeat customer discounts. The site would do better if students could save additional money or take advantage of other deals, much like other sites do. The affordable prices do counteract this to some degree and make this site an appealing one for certain types of assignments. This site gets reasonable reviews but doesn’t offer a lot in the way of extras. They do offer free revisions on all papers, with some guidelines. Skilled writers are another perk that the site offers. 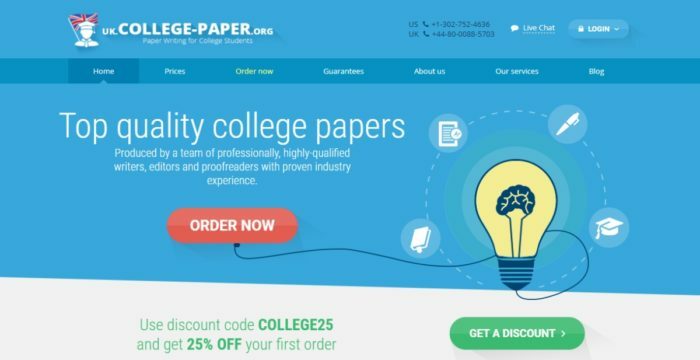 In addition, they do a plagiarism report on every assignment and a free title page and bibliography. These services are certainly helpful but aren’t as plentiful as those offered by other similar sites. Overall, we were rather happy with this site and wouldn’t have trouble recommending it students studying certain subjects in school.